It is rightly said that a picture speaks thousand words; we further say every moment captured pours thousands of expressions and emotions. We love to capture those emotions. We are that zealous team of dedicated professionals that work hard to capture the most important moments of your life to the precision so that the memories of that big day never fade. Be it wedding or corporate event we believe in capturing them in the most accurate manner to make it the best blockbuster film of your lifetime. We had a wonderful experience working with AJ Films, for our highlight video. Ajit did a fabulous job making the video look beautiful and gave us beautiful memories of our wedding. Thanks AJ Films. When we started planning our wedding we were sure we could not participate in the wedding film as both of us are super camera shy and very private people with regards to express ourselves. When we met a team of photographers for the first time we told them straight up that we should scrap the idea of a wedding film all together. It was then that Ajit instilled the confidence in us. He told us just to trust him. He said he would make sure we would not have to talk into the cameras directly at all and he would make the film in such a way that it would capture us exactly as we are. Today when we look at the outcome of his creation we are very glad that we trusted Ajit and his vision for the film. He gave us a very lasting memory of our special moments. The film totally depicts the emotions that we went through on that day and the core essence of our relationship comes across very beautifully. Thank You Ajit and his team for your work. To tell a little about myself, I forayed into making films with an experience of more than 12 years as an Editor which includes widespread range from films, promos, TV serials, documentaries, and wedding events to corporate events and many more. Also, I was an integral part of foundation process of renowned wedding company 'The Wedding Story'. I founded AJ Films in the year 2014 with a motive to deliver the finest cinematography and magical editing with best services to make top grade films of events; be it weddings, anniversaries, corporate events or meets and any event that would make an eternal beautiful memory. Editing is our strength as we believe it plays the most important role in molding any story into a beautiful film. We strongly believe that every living or non-living thing has a story to tell; what matters is how well we end up telling it in the most fascinating manner. We serve as your one stop destination with an excellent quality work from film making to photography. Hence, we assure to turn your moments into a magical memory. We also undertake exclusive editing jobs. In fact, we are master in it. They say a fine editor can be a better director. I strongly believe this. So, every event becomes an opportunity to produce and direct another blockbuster. Every project is close to our hearts and we feel equally passionate about each one of it. A beautiful bride, a perfect couple or a head turner product; we love to turn them into a most attractive film. Let us know what you are looking for and we assure to deliver more than what you expect. What is wedding film? Will it really work for my wedding? We capture your best wedding moments to convert them into the most amazing memory of your D day. This reel of memories is your personal and exclusive Wedding Film. On the day of your wedding you look finest and every emotion on the face of you, your parents, siblings and friends is spot-on. This is enough for us to make the best wedding film for you. Lavish decor or exclusive destination, designer outfits, dancing legs and smiling faces are bonus! So, be assured that it will really work for your wedding too. How long are these films? Will I be able to share it easily with others? Absolutely! The length of the film depends upon the content we capture at your wedding (more occasions and rituals, more content). We don't compromise on length or size of the videos to put our best work forward. Yes, the wedding film that we make is easily sharable through internet. You can upload it on social media or may e-mail it to relative or a friend. Will it cost me a bomb? Will I afford to put it on my wedding expenses list? I would suggest you to understand the worth of this expenditure. Capturing the moments that you'll cherish for lifetime in the best possible manner is a 'must have' on your wedding check list. All I can give you is an assurance that the returns will be value for your money. Also, the charges depend upon number of days we need to shoot. Rest, we can always sit together and workout the best package as per your requirements. Will the package also include photography? Yes, of course. We have some really good in-house photographers whom we trust to capture the accurate moments. 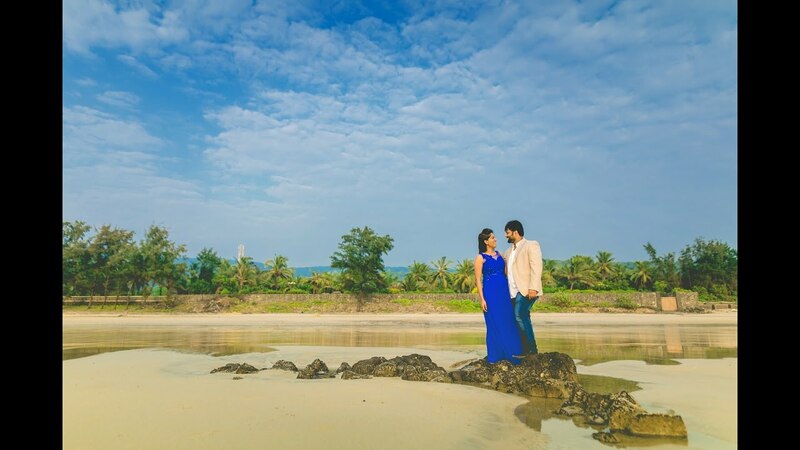 They are experts in candid, documentary, photojournalistic, art wedding and other forms of photography and they know to use a perfect blend of every style to make your wedding album look perfect. What else will your package include? The main event film (60-80 min) and the photo album of selected photographs with other pictures in pen drive or CD (around 400-500 for 2 days wedding and 500 - 700 for 3 days wedding), teaser (50 to 60 seconds) and trailer (5-6 min) of the wedding will be major deliverables of the package. Apart from this teaser and trailer will be showcased on our social media pages and handles, a temporary website will be made for your wedding (optional), Pre-Wedding shoot is also optional and that will be billed separately. How many of your team members will be there to cover my wedding? That completely depends upon the volume of your wedding. The number of crew members is decided during our core team planning based on the brief given by you. The team may contain members from 4-5 to 14-15 as per the requirement. How much time will my film take to be prepared? Teaser and trailer will be given before the wedding. Main event film will take minimum 15 days to maximum 1.5 months to be prepared. Do you accept assignments other than weddings? Yes. We are also corporate films and documentary makers. We also take exclusive editing jobs. Furthermore, you can communicate with us for any occasions that you would like to preserve. We will definitely take up the assignment if we find some story in it. What if my wedding is outside Mumbai? No problem at all. We don't mind travelling for assignments, domestic or international. Travelling expenses are not charged separately. Just provide us an accommodation if possible. How much in advance should we book your services? As soon as possible! Once you know the date of your wedding, contact us as early as possible so that we save the dates for you. Like you, we too need a lot of preparations to make for your wedding. This will give us more time to generate unique ideas to shoot your wedding in an exclusive way. Of course, lesser time will not affect the quality of work we deliver.